Home / ADAPTATION / MOVIE TRAILERS AND INFO / UPCOMING MOVIES / Andy Serkis Directs "Mowgli", A Darker and More Faithful Take of "The Jungle Book"
Andy Serkis Directs "Mowgli", A Darker and More Faithful Take of "The Jungle Book"
If the 2016 live action 3D adventure movie "The Jungle Book" is not enough, wait until you witness a yet another take of the beloved children storybook novel based on the works of Rudyard Kipling. 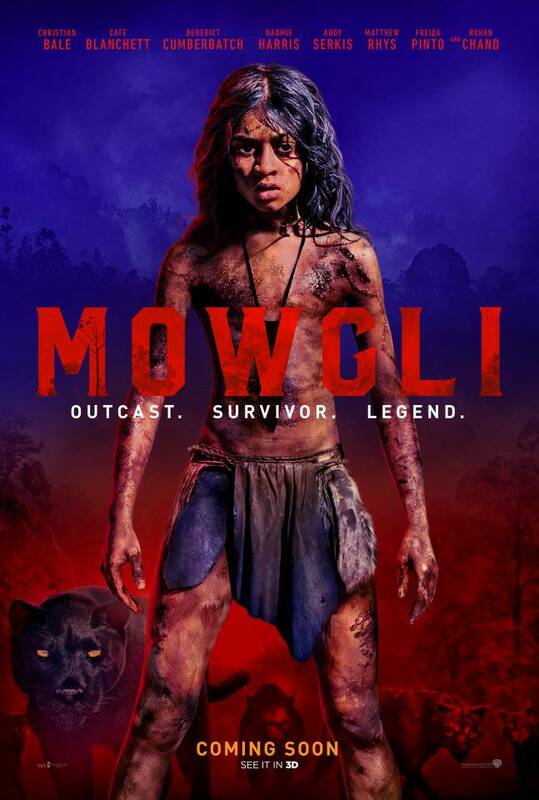 The upcoming "Mowgli" film tells us the whole back story of Mowgli and how he got into the jungle, but this time with a darker twist and said to be so faithful from the original story. "Mowgli" is the second directorial job of Andy Serkis, whose works include directing family drama, "Breathe" starring Andrew Garfield and Claire Foy, and some of this century's well-marked characters such as King Kong, Caesar, and Gollum. The new "Jungle Book" mythology is quite fascinating to watch in its first official movie trailer below. "Mowgli" stars Rohan Chand as the titular, Christian Bale, Cate Blanchett, Benedict Cumberbatch, Freida Pinto, and Andy Serkis himself (as another character) to name a few. The movie is produced by Steve Kloves, who wrote seven of the blockbuster “Harry Potter” films; Jonathan Cavendish (“Elizabeth: The Golden Age,” performance capture producer on “Godzilla”); and David Barron (the “Harry Potter” films), with Nikki Penny serving as executive producer. The screenplay is by Kloves’ daughter, Callie Kloves, based on the stories of Rudyard Kipling. "Mowgli" is set to be shown coming this October 18, 2018.